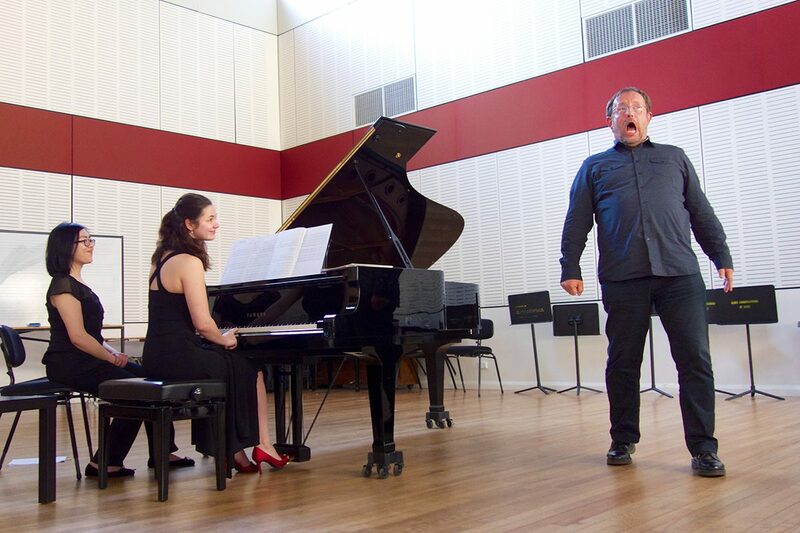 Nineteen years ago, I heard Adelaide pianist, lecturer, critic and composer Stephen Whittington perform Morton Feldman’s For Bunita Marcus (1985), a work for solo piano of over an hour that takes you into another realm of musical and meditative experience. “Sounds do not commence but seem always to have existed…”, I wrote. “Awareness is heightened. The paradoxical notion of infinity in a moment is understood, even attained” [RT 32, p43]. For Bunita Marcus is gentle yet absorbing music, as is Feldman’s Triadic Memories [RT85] which Whittington performed nine years later at the only ever Melbourne International Biennial of Experimental Music, curated by the redoubtable duo of Anthony Pateras and Robin Fox. Whittington’s performance of For Bunita Marcus changed my life by changing the way I listen. Feldman’s unique and wondrous music is a constellation that illuminates the night sky, and together with the keyboard music of Schubert, Beethoven, Liszt, Chopin, Shostakovich and of course the galaxy’s hub, Bach, Feldman’s music helps me navigate both the musical world and my own soul. There have been revolutionary compositional and technical developments in music throughout the 20th century, many of which I have been privileged to write about for Real Time, but the music that so often turns me into a rabbit-in-the-headlights is music for the solitary pianist — a high priest/ess who sits alone at the 88-note portal to the composer’s universe. I never learnt the piano, nor any other instrument. Wish I had. Whittington has been a champion of all kinds of contemporary music and is a pivotal figure in the Adelaide scene, bringing us many delights besides Feldman, for example his John Cage Day [RT111], his homage to experimental film-maker Stan Brakhage [RT102], and his performances of the music of Georgy Kurtag (RT40, p35), Erik Satie and other eccentric innovators. “Whittington’s solo performances typically take the audience, and himself, on a journey… Often, both performer and audience enter what Whittington suggests is ‘a certain mental space—you become attuned to a certain state to experience something unusual’” [RT111]. Soundstream Ensemble’s Artistic Director, pianist Gabriella Smart [RT106], has also introduced audiences to some wonderful music by little-known modern composers through performances by the Ensemble [RT52] and through her Adelaide New Music Festivals of 2008, 2009, 2010 and 2012 [RT99], which brought much new music to Adelaide, for example the Spectralists [RT52], Sofia Gubaidulina and Hanna Kulenty [RT93] and Daniel Matej [RT112]. Smart curates programs of wonderful but rarely heard music that provide great insights into the evolution of composition and performance. Most importantly, Soundstream regularly commissions new work, and commissioning is vital to fostering development. 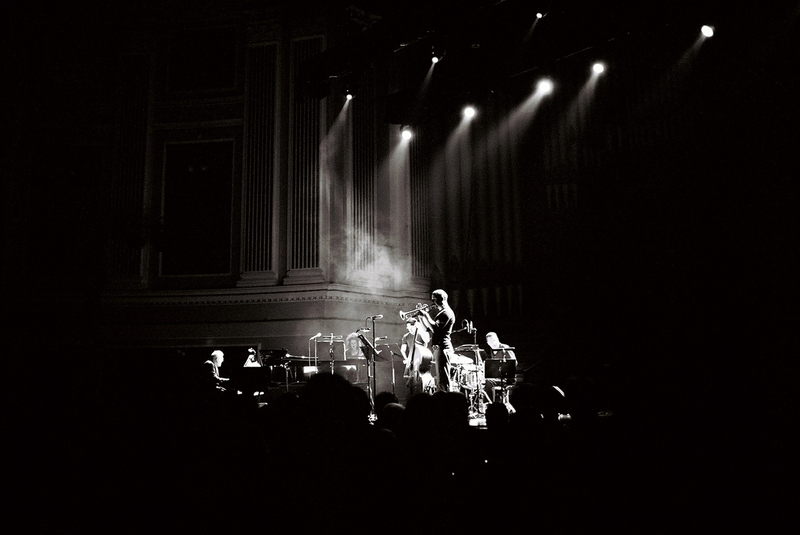 Smart undertook her own herculean solo piano performance in realising Alvin Curran’s five-hour work Inner Cities in 2013. “In rendering his own lifetime as composition, Alvin Curran shows how composition is inevitably an extension and exploration of personal experience” [RT 117]. 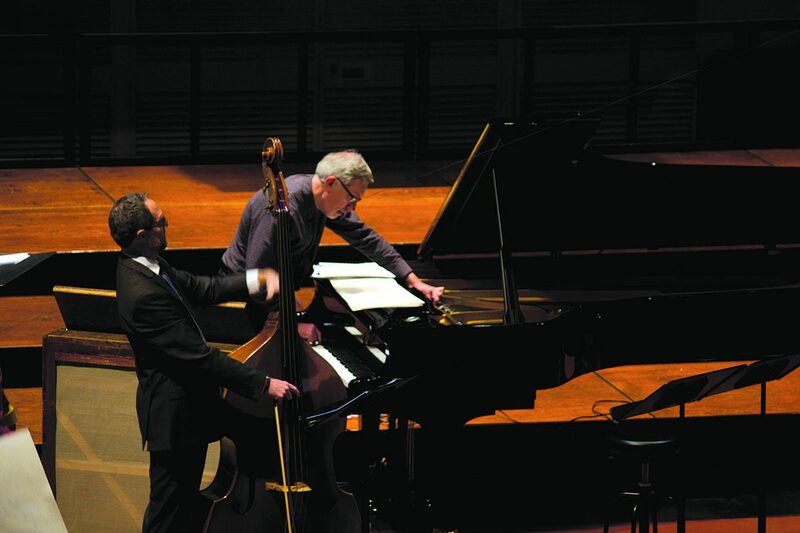 At MOFO in 2017, Pateras played an old upright piano with the front removed in an improvised performance with Erkki Veltheim (amplified violin) and Scott Tinkler (trumpet). Such was the ferocity of Pateras’s playing that he broke three piano hammers which went flying over his shoulder towards the open-mouthed audience standing behind him. Afterwards Tinkler photographed the hammers as they lay on the floor — a musical moment to remember. Gabriella Smart has gone so far as to remove the frame from an old, disintegrating upright piano and play the strings with her hands and with mallets in several performances in her Unpiano series of group improvisations in 2017. 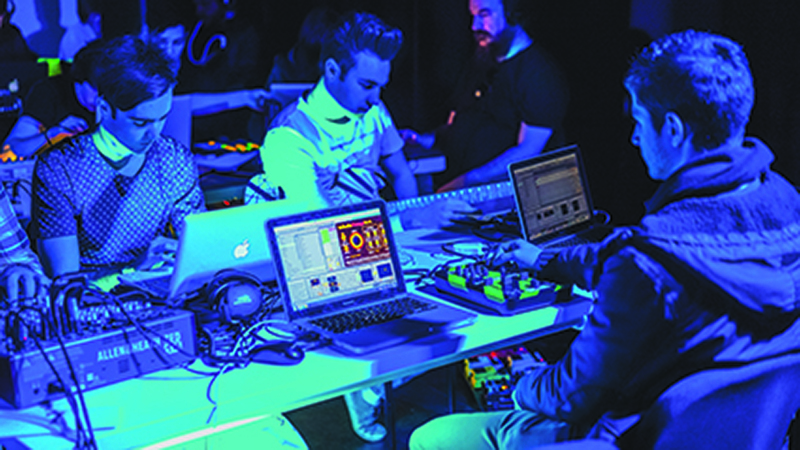 In these performances, Smart also performs on prepared piano and keyboard synthesiser. The trio of Smart, together with visiting German performance artist Johannes Sistermanns, who generates resonances from the auditorium walls, the piano soundboard and other vibrating surfaces using iPad-controlled transducers, and saxophonist Derek Pascoe, might seem an unlikely grouping, but such music and such instrumental combinations no longer seem as far-fetched as they did 25 years ago. Smart’s performance on the trashed piano frame isn’t only about capturing the fragile sound that rusty, out-of-tune piano wires make, it is about foregrounding the iconic status of the piano and its place in the history of western music since the 18th Century. The piano’s gutting is symbolic, and its innards are ceremonially probed like a saint’s vital organs removed from their reliquary. 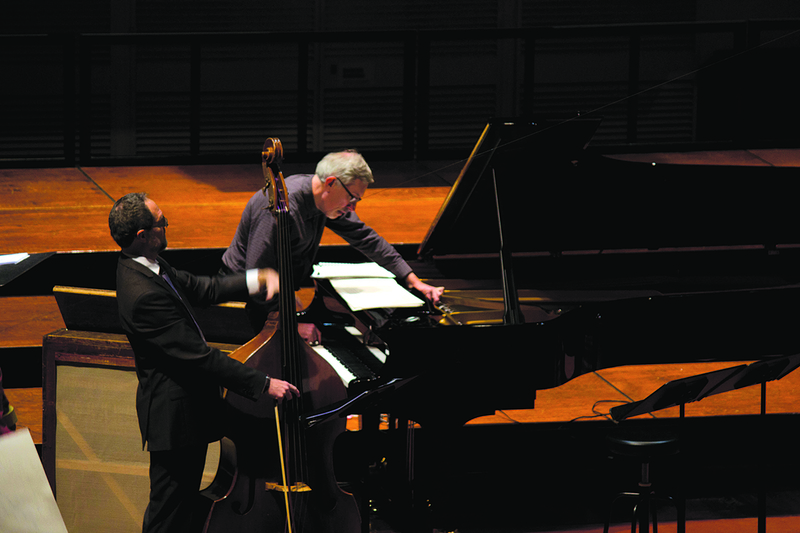 Conceptually, as well as musically, the Unpiano concerts were deeply involving. 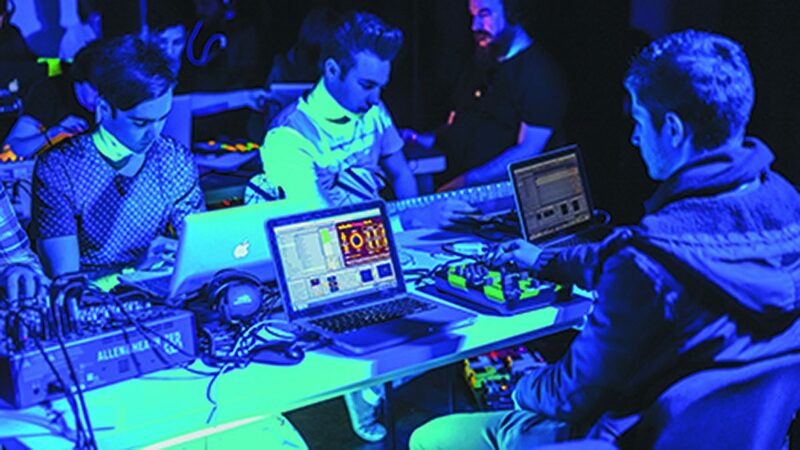 Over the last 25 years, the use of electronics, pioneered in the 1960s by the likes of Karlheinz Stockhausen, Delia Derbyshire, Daphne Oram and Tristram Cary, has become commonplace in all sorts of manifestations, such as pre-recorded and synthesised sounds, live sampling, combinations of electronic and acoustic instruments and spatialisation of the sound through multi-speaker arrays to create immersive experiences. 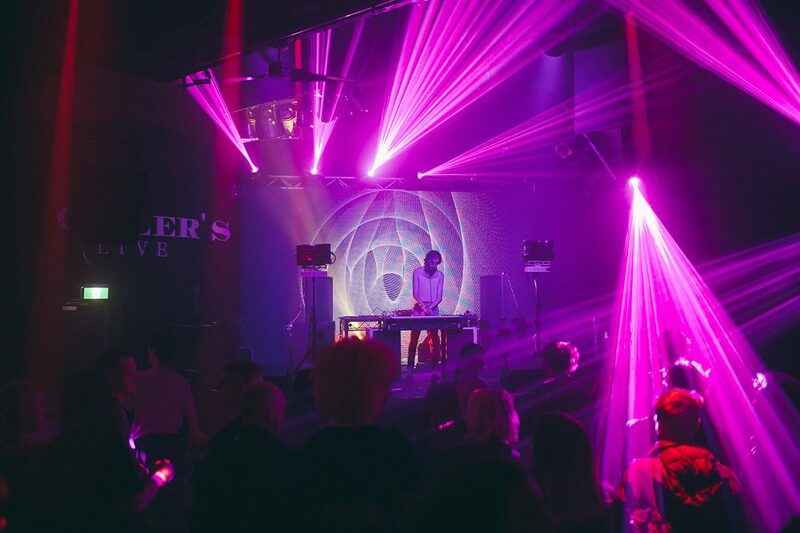 Live performance has been transformed forever with the introduction of the laptop, which can be used alone or in partnership with other devices and instruments. Musicians using acoustic instruments have replaced the paper manuscripts on their music stands with iPads. And they might wear earbuds to hear click-tracks, dispensing with conductors. 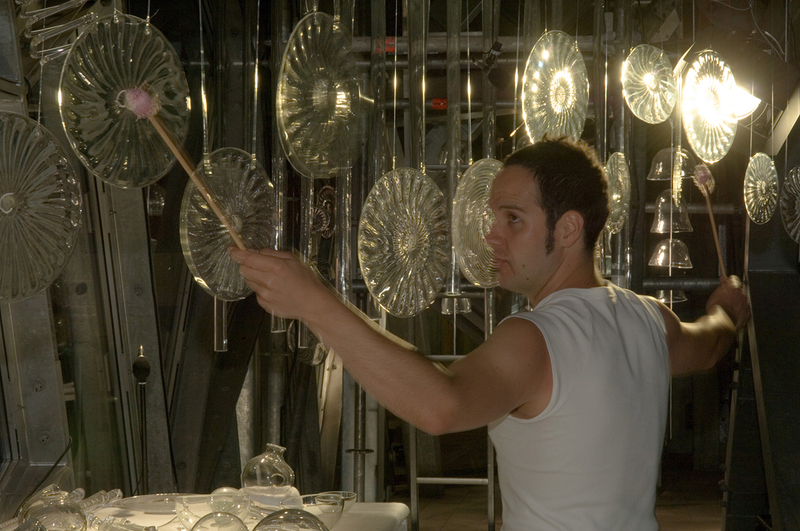 Speak Percussion’s Glass Percussion Project, in which two percussionists played on a vast array of glass instruments inside the wall cavity of Melbourne’s Federation Square atrium, was also highly conceptual and involved visual art and craft, the exploration of the architecture and electronic manipulation. “The sound the audience hears is at times heavily mediated through Myles Mumford’s live processing. The computer processor is an essential component of the instrumentation, and the performers are cued through click tracks to coordinate their playing with the processing. In effect, two people—the performer at the glasswork and the performer at the computer—are playing some of these instruments” [RT83]. In Mimic Mass’s performance of Split Radio at Conical Gallery in Melbourne in 2007, three singers each covered a sequence of well-known pop songs, all three singing different sequences simultaneously, so the experience was like listening to three radios tuned to different stations. You could listen to all three at once or to one or other individual through headphones. The voices were transmitted to a PA in a smaller room via a mixing desk through which the voices were morphed, fragments repeated and effects such as drum and bass accompaniment were added. “To transmit is to transmute,” I suggested in RT 78. The mixer has long become a performer, and the re-conception of the mixer’s role has been enabled and encouraged by technological innovation. Perhaps the most overwhelming musical performance I have experienced was the Australian Art Orchestra’s Miles Davis Prince of Darkness concert in the 2012 Adelaide Festival of Arts. The concert’s second half featured Anthony Pateras’s composition Ontetradecagon. “Knowing that Davis’ late work, particularly his On the Corner album (1972) was influenced by Karlheinz Stockhausen, Pateras pays homage to the experimentalism of both Davis and Stockhausen by exploring the conjunction of jazz improvisation and experimental music. AAO members were located in six groups around the auditorium — on stage, on either side, at the back and on the balcony — with Pateras strategically positioning himself in the centre aisle facing the stage. Pateras uses a Revox B77 to replay fragments of On the Corner and process elements of the live performance, while the AAO play from Pateras’ score which is orchestrated from On the Corner pitch elements and structured to allow improvisation. The spatialisation immerses the listener — I felt as if I were inside Davis’ and Stockhausen’s minds simultaneously” [RT 109]. Ontetradecagon was a consummate performance of great music by a great composer, Pateras, and great performers, the AAO. I was catapulted into an exponentially enlarged sonic, conceptual and compositional universe. I couldn’t have absorbed this music or appreciated its significance without the benefit of my expanded ears — you can’t navigate this universe just by sighting the old constellations. The synthesiser itself has been developed way beyond anything Stockhausen & Co might have wished for, as was evident at MOFO 2017: “The cutting edge of technical development in the field of electronic music currently seems to be Guy Ben-Ary’s cellF described as the world’s first neural synthesiser, which he developed in cooperation with a team of scientists, technicians and musicians. CellF comprises a small ‘brain’ —biological neural networks grown from Ben-Ary’s own stem cells in a Petri dish — that controls a series of analogue modular synthesisers. 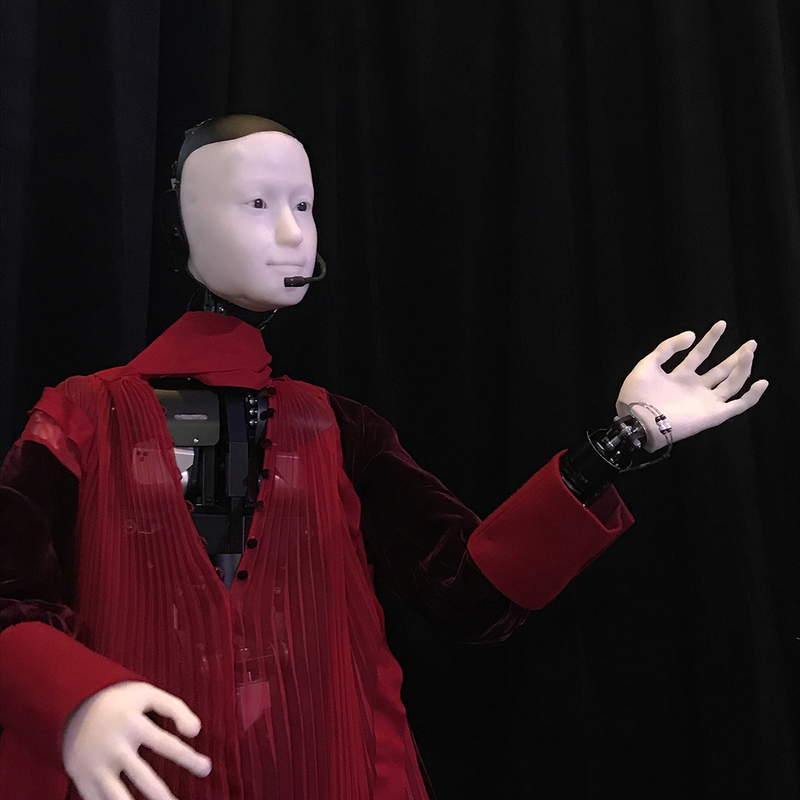 It functions autonomously and can perform solo or with other musicians to whom it responds” [RT 137]. The relationship between the traditionally passive audience and active performer has evolved into a partnership. Zephyr Quartet, another of Adelaide’s new music champions, experimented with direct involvement of the audience in their 2014 concert Music for Strings and iThings, which followed logically on the near universal uptake of that revolutionary device, the smart phone. 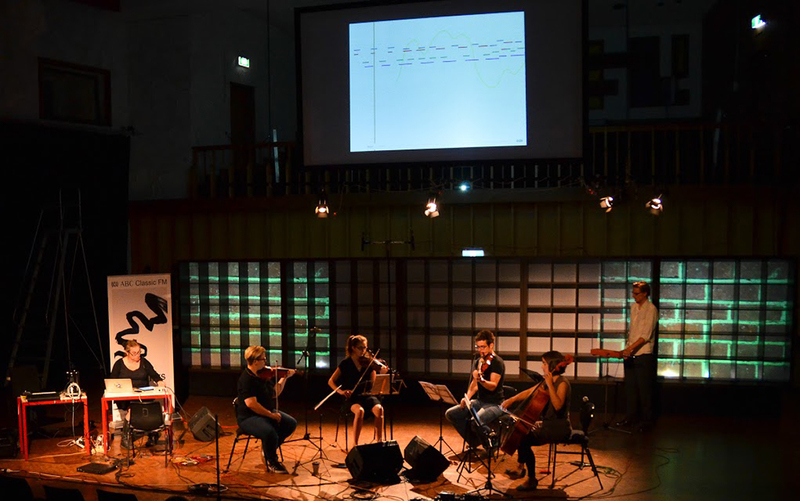 They invited audience members to download and play loudly over their phones fragments of pre-recorded music to accompany the Quartet’s playing. 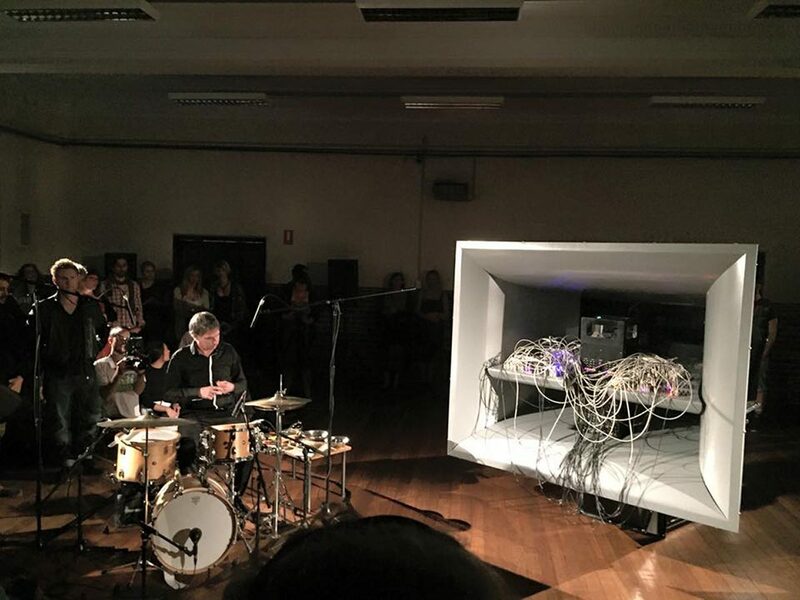 The concert encapsulated many emergent strategies for music-making: “Zephyr’s relentless quest for musical and compositional originality and their work with diverse collaborators continues to position them at the forefront of innovation, involving in this concert appropriation, field recording, live processing, pre-processed sound, visual art, aleatoric elements and directed and spontaneous audience participation. The concert is perhaps a wry commentary on the way in which new technologies have invaded our lives and come to dominate communication and thought processes, but it also demonstrates the way in which contemporary culture can condense so many sonic, musical and cultural traditions and ideas into a new paradigm” [RT125]. For her Honours project in Sonic Arts at the University of Adelaide in 2015, composer, musician and sound engineer Iran Sanadzadeh revived and extended the work of Australian dancer Philippa Cullen, who, in the early 1970s, began experimenting with theremins to produce sound through dance movement. Sanadzadeh’s If/Then is an improvised work for several performers who dance on movement-sensitive panels to trigger shifts in pitch in a theremin-like drone that runs throughout the performance. Her work is, “about exploring a range of possible actions with indeterminate outcomes, suggesting the influence of John Cage. And as well as demonstrating and extending Cullen’s original idea of reversing the relationship between movement and sound, Sanadzadeh’s concept also inevitably speaks of the new era of electronic surveillance and prosthetic technology” [RT 129]. 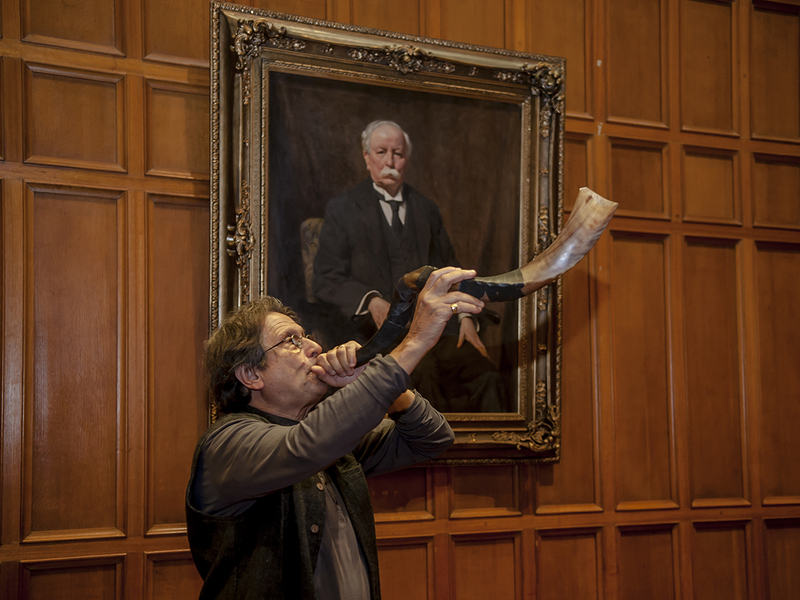 Stephen Whittington’s work with his students in the Sonic Arts program at the University of Adelaide shows how musical training has not only accompanied but generated musical evolution. He and his students regularly conduct concerts such as the 2014 concert, Stockhausen, May 1968: Intuition and Liberation, where 47 Bachelor of Music (Sonic Arts) students realised Stockhausen’s Aus den Sieben Tagen (1968). 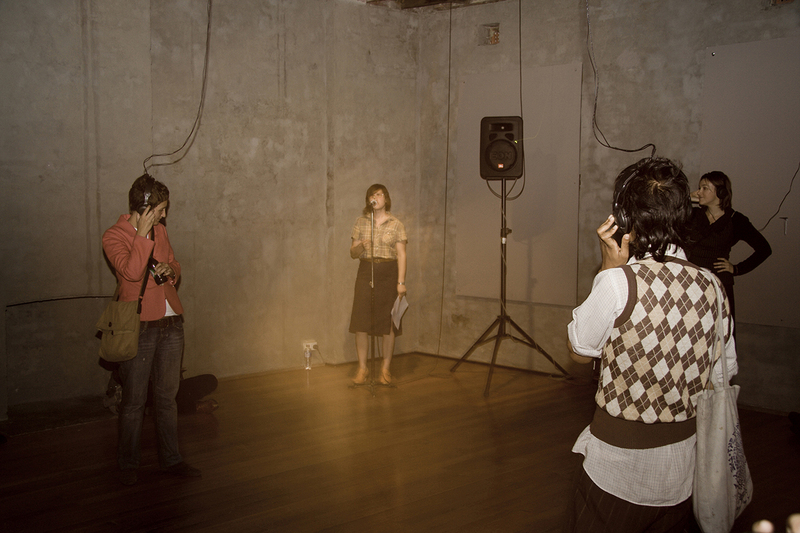 “The students work in groups of four or five with an array of synthesisers, the ubiquitous laptops, a tape-loop, the occasional electric guitar and even voice…[The] script is almost a blank canvas for the performer, and can be seen both as a form of spiritual liberation and the ritual abandonment of conventional composition…That the performers can make such interesting music with so little direction indicates the depth of their creativity and their technical, improvisational and ensemble skills” [RT122]. And then, perhaps inevitably, came Whittington’s laptop orchestra of 2015 — the 65-member Electronic Noise Orchestra, piloted by two mixers and a master-mixer. “The resulting sound was characterised by dense musical layering that made full use of the eight loudspeakers placed around the perimeter of the auditorium to create a sense of swirling movement. Hearing it was an incredible experience as the complex sound patterns developed and intersected in kaleidoscopically fascinating ways” [RT128]. 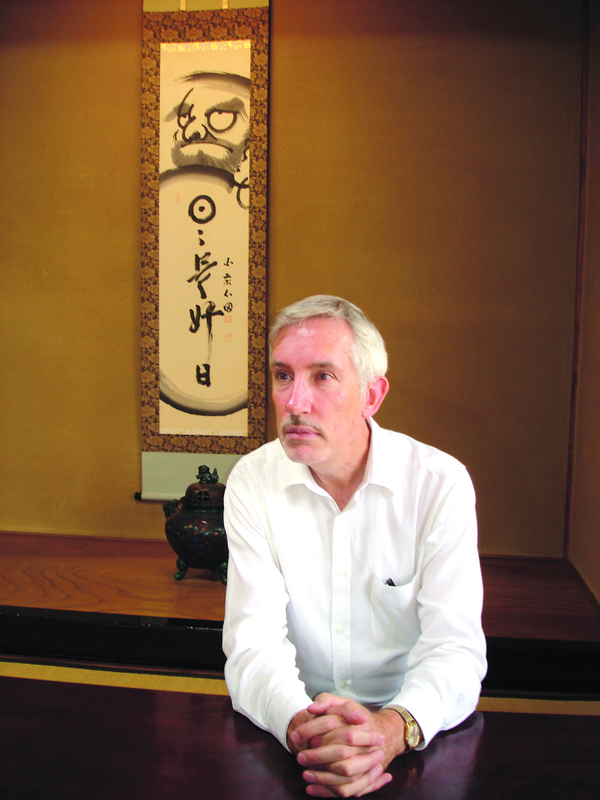 Whittington has a clear educational and musical philosophy: “I see sonic art as a category that is larger than music — though music is a part of it — a category that embraces every kind of art activity that uses or references sound… My approach is phenomenological — my students are forced to come to grips with ideas from Husserl and Merleau-Ponty at some time or other…” [RT128]. In the quarter-century spanned by Real Time, we have witnessed a revolutionary transformation of musical composition, performance and reception. Additionally, you can now access almost any music through the internet, anywhere, anytime. One even wonders if some form of bio-electronic telepathy will soon replace the smart phone + earbuds. The pace of musical change parallels the evolution of technology and the way in which audiences apprehend and interact with the world around them. The future of music is already being encoded. Forget the stars and navigate with your cursor. 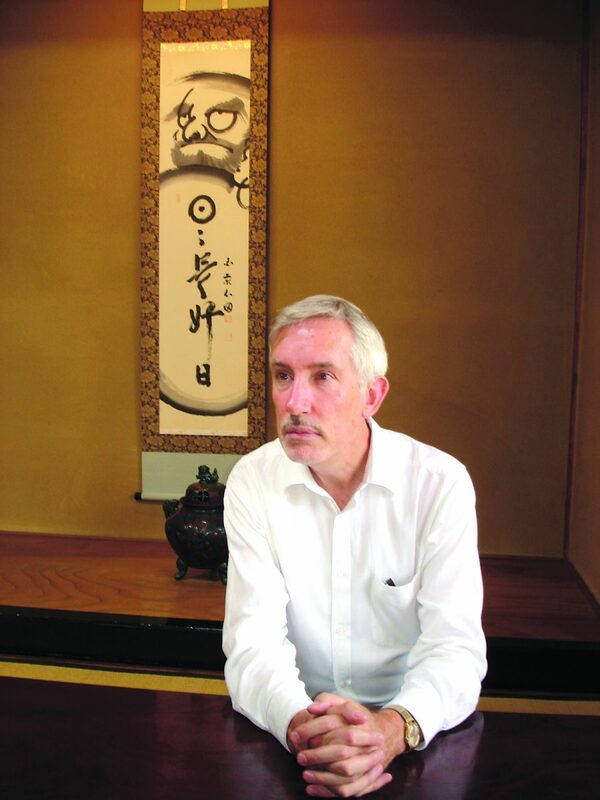 Chris Reid is an Adelaide-based writer who has reviewed visual arts and music for RealTime since 1999. Read about him here.